Not too long ago Forrester Research said that we are living in “The Age of the Consumer” where customers have all the power and are no longer loyal to brands. The problem is that while customers know what they want, they don’t always know where they can go to get their hands on it. This is especially true for those who are looking to make a large purchase – like a pool, hot tub or swim spa – which they likely have no experience making in the past, or haven’t done so for quite some time. Having your pool and spa companies information readily visible in local search results is essential. If you think you already have it covered by having your company name, address and phone number listed, you don’t. Hop on over to your Google My Business account (or call us for help) and add more details like your website, business category, hours of operation and a business description. But that’s not the only way your pool and spa business can get noticed online. 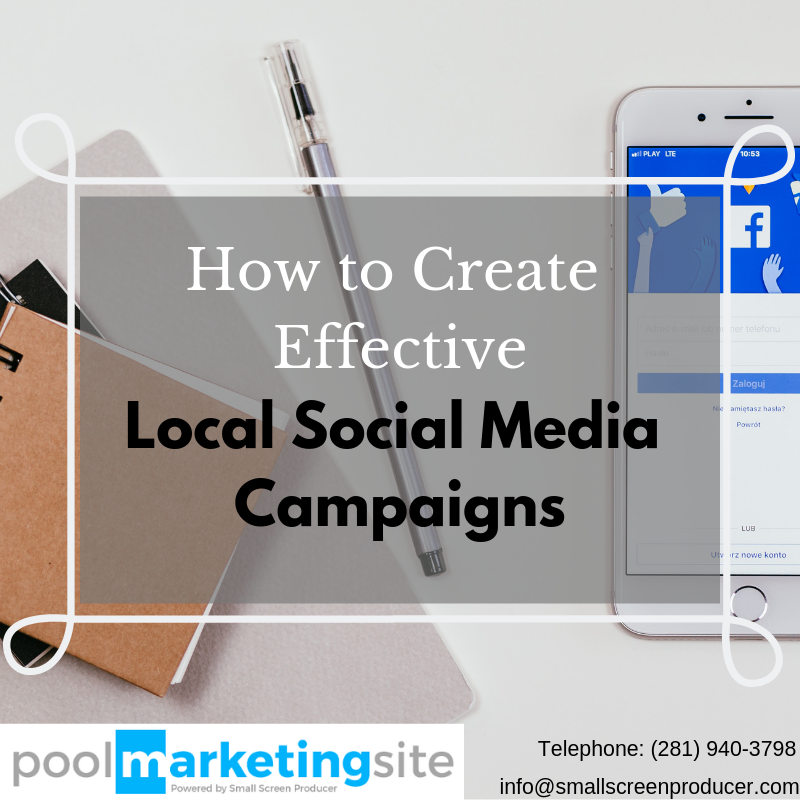 Local social campaigns have also proven to be a great way to increase your exposure. Create a lot of community-centric posts about events happening in your neighborhood. Share location-specific promotions, and if you have more than one pool showroom share the different employee cultures at each location so customers have a better idea of who you are as a brand. The easiest way to keep your pool and spa business on track with your posts is to put together a content calendar and posting schedule. The professionals at Pool Marketing Site are ready to help you with all of your content marketing needs. Don’t be afraid to start conversations, and be sure to respond to any comments and questions left by your audience. If your pool and spa business gets a mention, make sure you show your appreciation by acknowledging it. Finally, take full advantage of the power of hashtags (especially those that are on trend!). Hashtags not only help define what your posts are about, but they give people yet another way to organically find your pool and spa business on social media. For more information on Pool Marketing Site‘s local SEO solutions, social media marketing, website services and more, contact us online or give us a call today at (281) 940-3798.